Autonomous Transportation | Tenere Inc. Since the industrial revolution, products have been moving cross-country by way of trucks, trains, and ships. Self-driving cars get all the attention, but the movers and shakers of consumer goods mobility have been leading the way in the autonomous transportation market. More and more self-driving trucks and trains have successfully been integrated into every day functions. The core of the autonomous transportation industry lies in communication between systems. This communication is accomplished through strategically placed transformers and inverters. Tenere's team of experts can build and assemble these large components to support the future of transportation. 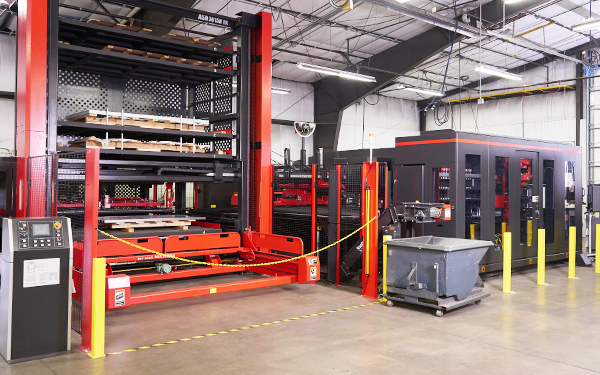 Soft tool and hard tool sheet metal fabrication provide the flexibility and scalability required for producing the large custom cabinets used to connect autonomous transportation systems. Knowing when to use soft and hard tooling can save companies time and money when building custom sheet metal assemblies. Tenere's teams in the US and Mexico work closely together throughout the manufacturing process to ensure that you receive seamless support and eliminate potential delays during the manufacturing process. Our synergistic capabilities of sheet metal fabrication and plastic injection molding allow you the ease of working with a single vendor and one point of contact through prototyping, DFM, tooling, production, assembly, and supply chain.